Anatomy of an Epidemic explains most succinctly, decisively and irrefutably the current landscape: the fact that certain medications, in particular the class known as antipsychotics can actually sensitise even so-called normal people to become "mentally ill", and do less than nothing to help people in the long term, except mop up their own damage. This situation - in which medicine not only has it wrong, but indeed upside-down, is not unheard of. In fact it is the reason for the hippocratic oath: "first do no harm". But Whitaker also takes pains to talk to and follow up with real people. The book therefore has an empathetic and humanitarian side to it, which balances and bolsters his empirical dedication. 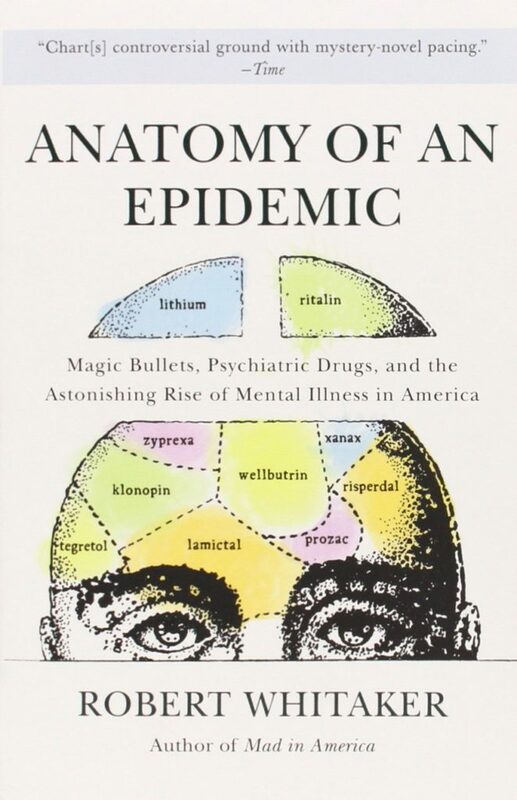 It is worth noting that - based primarily on this book, and his website MadinAmerica.com, Robert Whitaker has drawn the attention of top psychiatrists, including Allen Francis, former head of the DSM task f0rce. Whitaker has, and continues to more-than adequately face and answer his critics.